20th Century Fox has released four new character posters for The A-Team, which hits theaters on June 11. The international posters feature body shots of the four main cast with some additional character flourishes in the backgrounds, not just their faces, like the simple and less-exciting domestic teaser poster. Note the appearance of the classic black and red A-Team van on the B.A. Baracus poster. 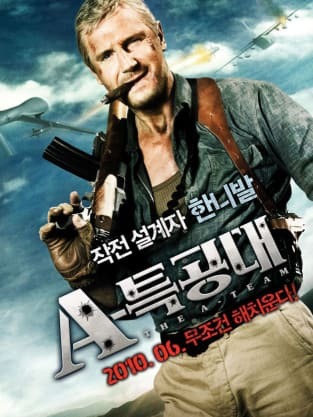 The A-Team follows the exciting and daring exploits of a colorful team of former Special Forces soldiers who were set up for a crime they did not commit. Going rogue, they utilize their unique talents to try and clear their names and find the true culprit. 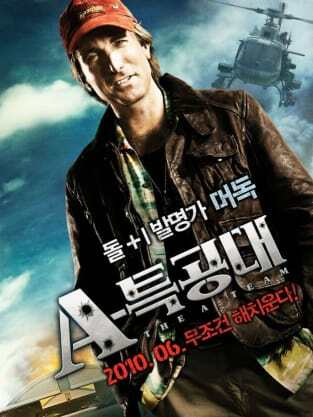 Liam Neeson (Taken), Bradley Cooper (The Hangover), mixed martial arts champ Quinton Rampage Jackson, and District 9 sensation Sharlto Copley, are The A-Team. Click the thumbnails to view larger versions, and see all of our A-Team pictures in the gallery!